I just finished read Afterburn and really curious for the reason why Jack left Gia but still keep a tab on her? Is everybody have a theory for this? I also not surprised when found Vincent has a relationship with Deanna. Maybe Deanna is not so bad like her in Crossfire Series. As usual, I think Jax has skeletons and doesn't want to pull Gia into that part of his life. Â But her whole family thinks he loves her and she now agrees after finding both old and new pic of her. Ugh...can't believe I did this to myself -again! I said i wasn't going to start a series if it wasn't complete ...but Lol. This was sooo gooood! Didn't want it to end . I love Gia! Shes so strong and determined. Jax, I feel like eventually I will love him too....he's def protective of Gia . Love that he has pics of her at his apartment . Deanna is in here! Omg! How funny is that ?! Love Gia's family they make me feel so warm and cozy lol...I def understand the family restaurant business , so I really like that . Initially ,when Gia ,Lei and the Williams twins in the bar , Gia and leis outfits are described , then later that day when they're back at their office , jax is described as being changed into a suit , but both Gia and leis outfits seem different ( Gia w a navy blouse instead of gold , an lei in back sling backs instead of boots). Idk ...maybe I'm wrong. I wonder how Jax managed to show up everywhere Gia was. Not gonna lie, kinda hoped she was going to hook up w Chad before they reconnected. I wonder how Atlanta will go. Maybe we' ll get crossfire news soon!,! I like Afterburn but the story about second chance is never work for me. I wonder did Jack do something that he didn't want Gia know? So that's the reason why he left her and because he think she only accept him as a fling. Aftershock is the last book in this series right? I don't want to wait months for another cliffhanger. I thought it was strange that Deanna was in this book she does get around or is there going to be a connection. Totally enjoyed Afterburn. Love Gia and her family to bits. And Lei I think there's more to her story with Ian. At the charity in D.C he said something along the lines I don't have a heart because someone broke it. So did Lei cheat on him? Did he branch out on his own because he felt betrayed by Lei and was just getting back at her? Jax maybe was keeping tabs on Gia because of her safety. He said something about being with Rutledge on the phone when he called Gia after she the penthouse. Deanna being in this book I like. Maybe it's a sign will say adios to her in the next book. Now I also love the Olvia Pope line. 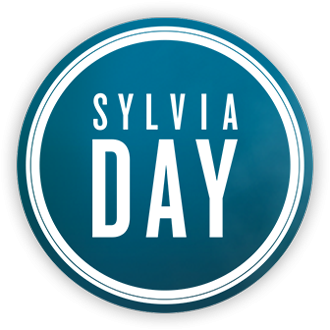 I know Sylvia is also a fan of Scandal. All in all I really enjoyed the book. Loved that line as well, that was good and yes I think Jax has skeletons but I think his family are hanging something over him to make him do what they want, I don't think he was trying to hide Gia when his father came over I think there is so much sh i t in his father and family that he does not want Gia tainted with them, there is more to Ian and Jax's father though I just feel it. I thought it was well written for Sylvia but I am not grasping at my pc saying I want more give me now like I do with crossfire. what is the Oliva Pope line, I don't get Scandal over here, annoyingly so. Don't get me wrong I did like the book but I think it could all be in 1 book, I just feel the second book maybe a bit rushed to get everything in that is being hidden in the first book. I agree I think there is more to Lei and Ian's split up but at the moment I am not liking Ian but I was also wondering when reading the book if maybe Ian is doing all that he is doing to try and get Lei back, you know make her work with him, fight with him for what she wants show some emotion to him that she still cares, I don't know maybe I am a bit crazy but I think Lei still loves or cares for Ian and he does her but by doing what he is doing he is trying to get her attention. Â Only November will tell. I love Gia she is so strong and I love the way she is, she does love Jax but like Gideon and a lot of SD characters he has to let her in before she will trust him fully. Â Jax I think is trying to keep her away from his family not because he is ashamed of her but maybe because he is ashamed of his family and like I said before maybe they have something they are holding over him to make him do what they want. I agree I think there is more to Lei and Ian's split up but at the moment I am not liking Ian but I was also wondering when reading the book if maybe Ian is doing all that he is doing to try and get Lei back, you know make her work with him, fight with him for what she wants show some emotion to him that she still cares, I don't know maybe I am a bit crazy but I think Lei still loves or cares for Ian and he does her but by doing what he is doing he is trying to get her attention. Only November will tell. I love Gia she is so strong and I love the way she is, she does love Jax but like Gideon and a lot of SD characters he has to let her in before she will trust him fully. Jax I think is trying to keep her away from his family not because he is ashamed of her but maybe because he is ashamed of his family and like I said before maybe they have something they are holding over him to make him do what they want. When Gia says " When Jackson's not gambling with millions, he's cleaning up after family members a la Olivia Pope." I think you are right. Ian still loves Lei and she him. November still far out. I really gotta stop reading unfinished series. Maybe Sylvia will start giving tidbits from CBY. A girl can hope. I think we are all hoping that now that Afterburn has come out she may start with the snippets for CBY we need something now. Yah hey. Being married to someone just because its good for your career or what not. From what I have read in reviews the intention was for these to be short and really make up one final book when put together. I liked the story, loved how feisty Gia was. I think in the past Jax also loved Gia but didn't fully realise she felt the same (hence the photos). He broke up with her to both protect himself from heartbreak and her from the secrets of his family. He is scared if he is in love the same fate that happened to his mother who married his dad for love would happen to them or her? Yes, I am wondering who else is in the background. Sylvia is good at adding these mysterious people and situations. Right, maybe he realized how much he was falling for her back then, and hoped to get out of it before she fell for him and broke her heart. What was it he said, " I didn't know you were in love w me"...something like that? I agree! He said something like 'Don't make me turn you into one of them! '...I think that says a lot. I wonder how much he's told Ian and his father about her though, since they know of her. Ugh...I hope there's no lady drama..Gia's gotta get some answers tho! Anyone else think Jax will be following Gia to Atlanta? I could totally see Savor and Cross Industries joining together for some kind of business/ restaurantÂ combo. Gideon does have his hand I a lot of businesses ..lol..Maybe Gia and Eva become BFFS! Ha! Now I'm really being silly. I didn't know Gideon was in another book! Gotta read it! I could totally see Savor and Cross Industries joining together for some kind of business/ restaurant combo. Gideon does have his hand I a lot of businesses ..lol..Maybe Gia and Eva become BFFS! Ha! Now I'm really being silly. Ya you on to something. Maybe he stopped seeing Gia before she could fall in love with him. Only he it was too late. Well, I am happy I am not the only one who thought Deanna's appearance was interesting. Â Shocked me. Â I do not think this is half a book. Â Maybe a third of a book. Â Just too short. Â Annoying. I am loving Gia a lot. Â She is smart, motivated, and normal with a normal family. Â Jax, on the other hand, is not nice. Â Something pretty bad is brewing with him and his family. Â I think he does care about Gia and maybe that is why he walked away from her. Â Maybe he was protecting her from the nasty folks in his family. Â But he isn't walking away from them. Â Not crazy for him. So, I am thinking that since these books and Crossfire take place in NY, maybe these characters will intertwine in the TV series? Â Sylvia has to wind up some of the crap with Corinne and Anne and all those guys. Â This crew brings a whole new world of intrigue. And maybe she split the book in 2 on purpose to keep conversation going. Â I predict that CBY comes out right before or after Aftershock. Â We will know a lot more about Deanna since I think she will be in both. So Gideon is in another book? Â How much? Â Trying to decide if it is worth it to buy the book if he is just mentioned. Gideon's cameo is just that, Â he is only mentioned 2x and there is no dialogue. Â The story I mentioned is just a short story. I like for all of your thought about connection between Afterburn and Crossfire. Maybe characters in Crossfire will be cameo in Afterburn and instead. So I didn't surprised when found out Deanna in Afterburn because I know Slyvia sometimes connected her characters from one book to another. I hope Jax and Gia will get their happily ever after. Afterburn story is interesting but honestly it didn't captured my mind like Crossfire. I can say Crossfire is Slyvia's masterpiece so far. Just my opinion.